The configuration settings entered here are used for tasks like retrieving fraud scores, getting live information for transactions directly from Sage Pay API and so on. A valid password for the Username entered above. 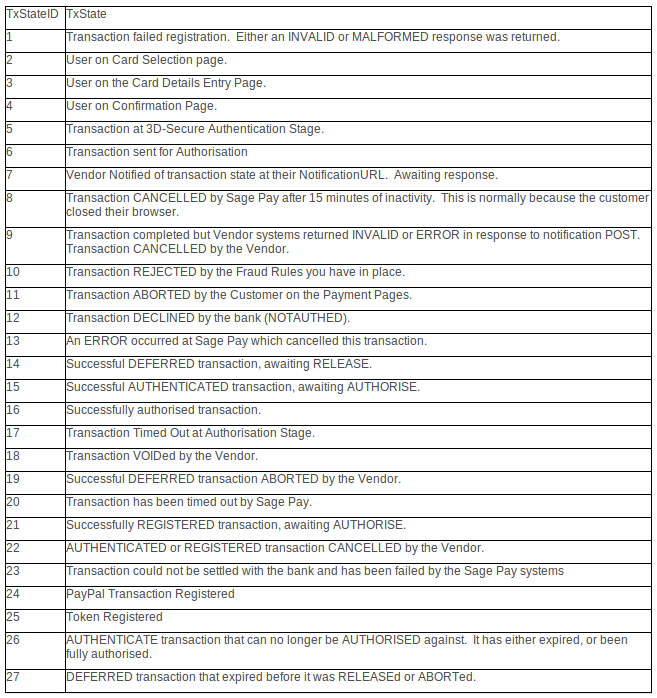 Sage Pay TEST or LIVE mode, this must match the me your vendor is set for. The shield on the left is for the transaction state, and the one on the right is for fraud. So you might not see the fraud score shield if the score was not updated yet. The fraud scores are retrieved from 3rdman api. If you hover on any of both images you will see a legend with more information, for example numeric fraud score. These shields will get updated automatically every time you browse the Sales > Order grid for the transaction placed within the last 24 hours, for old transactions you can get the update manually by clicking on a button. 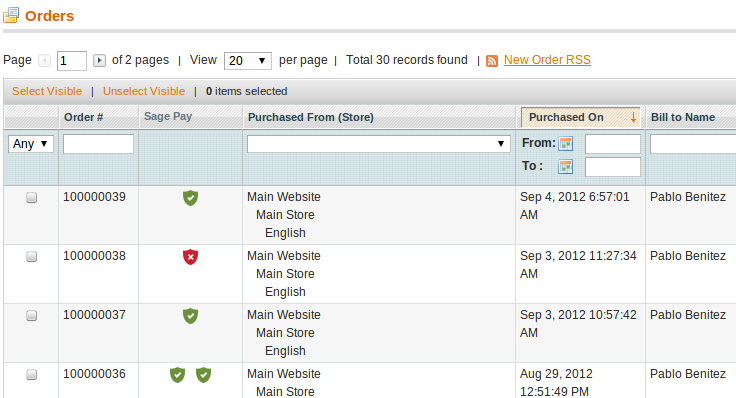 The details will also get updated automatically if magento cron is running, you can switch off the synchronization when loading Sales > Order grid on the module configuration.